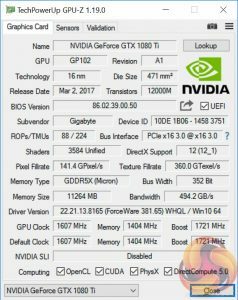 Nvidia’s GTX Titan Xp aside the fastest single GPU graphics card of the moment aimed at gamers and PC enthusiasts is the GTX 1080 Ti. 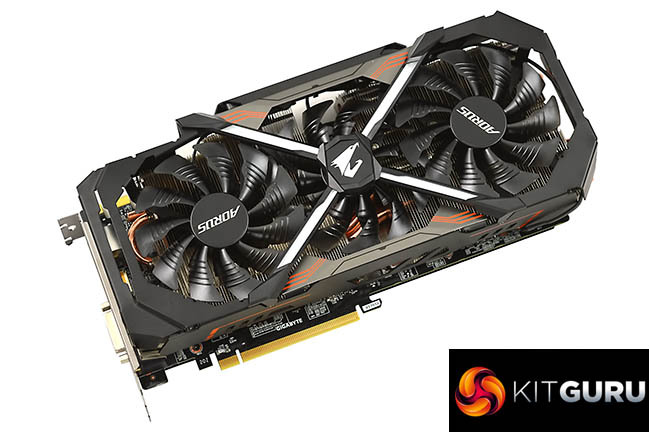 Not content with the default performance Gigabyte, using it’s burgeoning Aorus brand, has given the GTX 1080 Ti an “Xtreme Edition” makeover. The Aorus branding of select Gigabyte graphics cards is a new strategy for 2017 with Gigabyte seeking to develop a prestige brand to better compete with rivals. 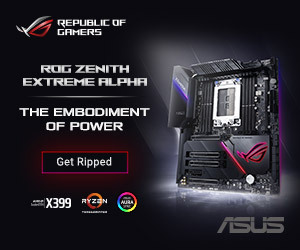 Presumably, the objective is to cultivate a brand following, loyalty and reputation for excellence similar to the Republic of Gamers (ROG) brand under ASUS. 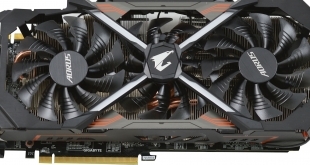 Irrespective of Gigabyte’s strategy and intentions, what Aorus has delivered can only be described as a halo graphics card product. 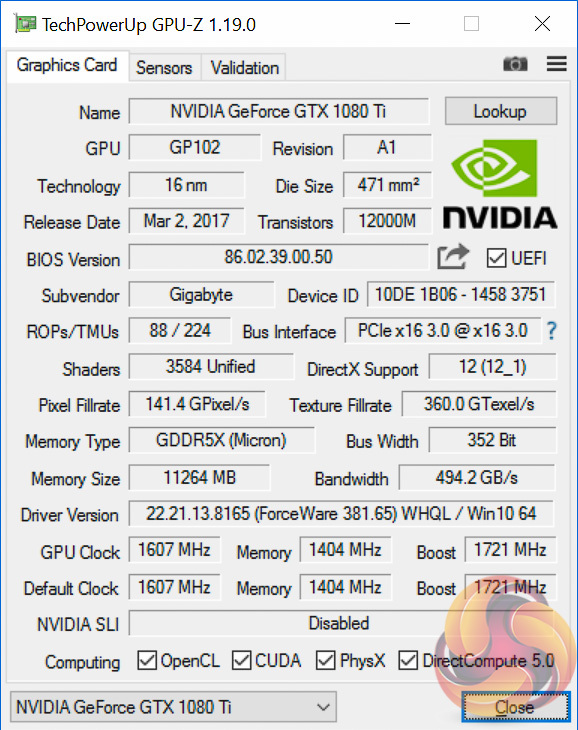 Aorus has opted for one of the most aggressive overclocks on the market for a GTX 1080 Ti at 1607 MHz base clock, up from 1480 MHz on the stock Nvidia model, as well as an overclock to the memory. Unfortunately for Aorus it has been narrowly beaten to the title of fastest GTX 1080 Ti on sale by Zotac, it’s GTX 1080 Ti AMP! 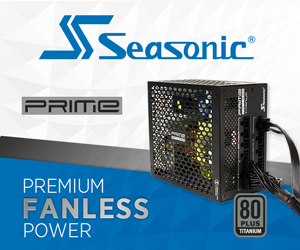 Extreme Edition ships at 1645 MHz base clock, 1759 MHz boost clock, from the factory. Aorus claws some of that frequency back with a special OC mode that can only be enabled by installing the Aorus OC utility. This increases the core frequency to 1632 (1746) MHz and 11448 MHz for the memory. It’s not all about clock speeds though as the Aorus GTX 1080 Ti Xtreme Edition has other tricks up its sleeves. The first of those is bringing back the triple slot and triple fan cooler which is big and brash, but surprisingly effective as we’ll see later on. 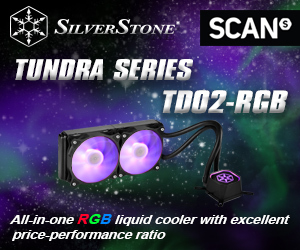 Gigabyte has also embellished the card with a 12 + 2 phase VRM, RGB lighting in multiple locations across the card, a semi-passive fan mode, a special VR HDMI port and Aorus is now using a fully automated PCB assembly process which gives a better overall construction quality. Readers may already be familiar with the ASUS take on this technology which it dubs Auto Extreme. With a price tag about 10 to 15% higher than an entry level GTX 1080 Ti, the Gigabyte Aorus version locks horns with the ASUS ROG STRIX GTX 1080 Ti that KitGuru recently tested. 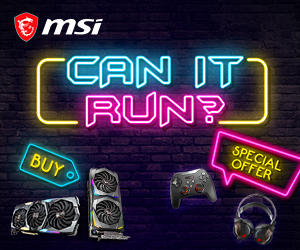 In terms of price, clock speeds, build quality and overall features the two graphics cards are very similar indeed. We tested the Aorus GTX 1080 Ti Xtreme Edition in the out-of-the-box gaming mode, not OC mode.